Design4DCity is a multi-year program aiming at improving the residents’ quality of life through micro-interventions in the Maltese urban landscape. It promotes a co-creative group work approach to devise effective solutions to community needs, bringing together mixed teams of international and local participants. The project focuses on areas of intervention where public space, community interaction and social issues intersect; in doing so, it looks at the diverse ways we use public space and take common ownership of it through seasonal activities. The program started in Valletta in the month of June 2016, when a nieghbourhood meeting was held in an “unconference” format to identify the potential of the Biċċerija l-Antika building and area before the works to transform the facility into the future Valletta Design Cluster started. The participants in Design4DCity worked on the outcomes of the unconference to create the brief for the workshop, which took place at the end of September. The September workshop consisted in the accomplishment of 3 missions for the participants, who were assigned the task to create short films portraying the future of living in Valletta, the outcomes of the unconference and those of the interventions planned for the site. The results of the workshop were presented during the launch of a pop up installation around and inside the Biccerija building; this was one of the first presentations of the Valletta Design Cluster concept to the residents. 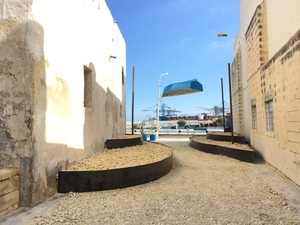 Design4DCity was developed further in 2017, when participants were engaged in a more intense working session focusing on the rehabilitation of an abandoned passage in Birżebbuġa, which was turned into a livable space for public use following a 72-hour development round. 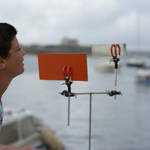 The installation was called ‘How’s the Water’ to emphasize the relation between the locality and the sea, and the role that the latter has in the everyday life of Birżebbuġa. 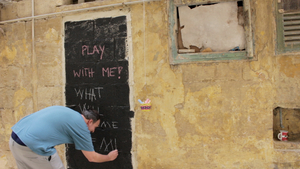 The initiative developed into three strands in 2018: a community engagement process culminating in an urban intervention workshop led by 72 Hour Urban Action (Berlin, similarly to what was done in the previous years) on 10-13th October in Birżebbuġa; Playspace: New narratives for public space, a project which proposes an open street workshop with children as protagonists, where questions relating to the nature and uses of public space can be explored through the eyes and voices of the young (happened on 21st October at Pjazza San Nikola, Siġġiewi); and Mal-Baħar / Conversations with the Sea (Orfeo & Majnun Mobile Lab), a site-specific installation along the San Ġorġ breakwater pontoon in Birżebbuġa which aimed to create a physical and experiential path along the pontoon through the positioning and interaction with objects in the space, in order to create reflections about the residents’ past, present and future in their locality.